Optimisation has long been a niche field because very few people know how to do the mathematics. At Octeract, we want anyone who has an optimisation problem to be able to describe it in a simple way. Our users input their data, and we build the mathematics for them. This enables both non-experts and experts to generate state-of-the-art models in a matter of minutes or hours, rather than having to do months of manual work. This functionality is unique to Octeract, because our optimisation engine guarantees to solve any problem the user describes, thus completely separating them from all the technical details. We are looking for a Frontend developer to help build our web-based optimisation environment where a user can describe their application using a unique blend of mathematics and English. - Designing and building our optimisation front end. - Interfacing the front-end with our global optimisation solver. - Rapidly prototyping and iterating new features based on client requirements and feedback. - Develop automated UI tests and test pipelines. - 4+ years of web development experience with demonstrable projects. - Experience building applications with ReactJS. - Experience using testing frameworks (e.g. Jest, Chai, Mocha, Jasmine, Enzyme). - Bachelor's degree in Computer Science/Engineering, or equivalent experience. - Experience working with SQL, Docker and AWS. 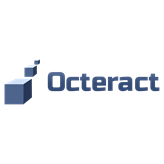 Octeract is a scientific computing company. We develop the most advanced optimisation technology in the world - using a combination of our unique natural language front-end and our massively parallel deterministic global optimisation solver, we can solve problems that are considered impossible to solve today. Mathematical optimisation is a fundamental, enabling technology, responsible for many things that we take for granted: the internet, machine learning, modern aircraft, or supermarkets that don't run out of food. Want to get notified about new jobs at Octeract?